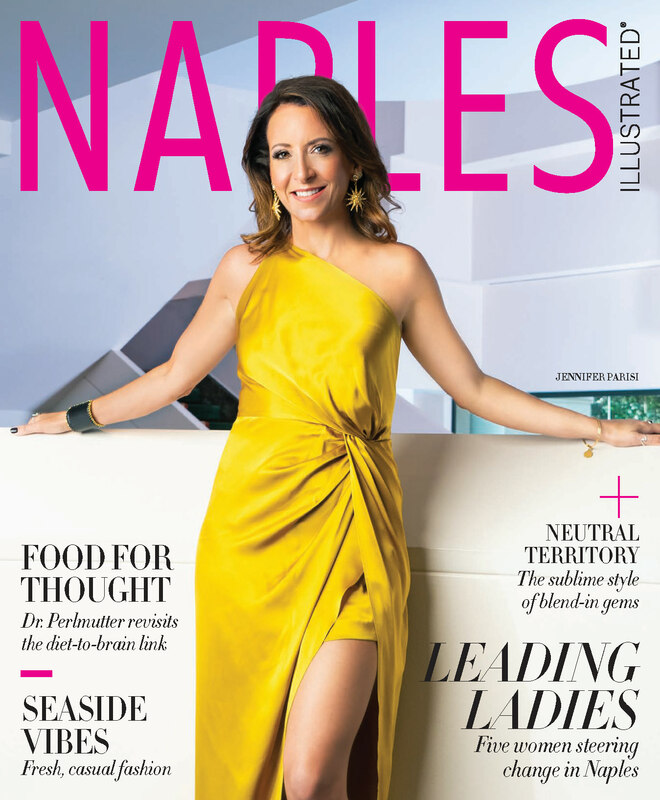 Not every luxury traveler is cut out for the meticulous planning of a road trip, so Relais & Châteaux has made things deliciously simple. Introducing the brand’s “Routes du Bonheur,” or “Roads of Happiness”—a collection of journeys that link key properties in its esteemed portfolio, showcasing the best of a particular region through itineraries emphasizing natural splendor, incredible scenery, exhilarating activities, pampering, and Relais & Châteaux’s hallmark: excellent food and wine. 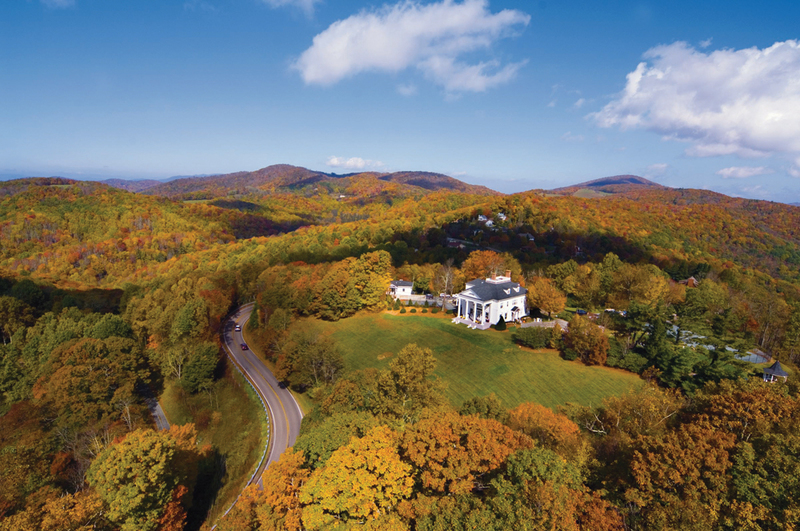 Here, highlights from the dreamy Southern Route du Bonheur, a trail that includes stops in the towering Great Smoky Mountains in the outskirts of Knoxville, Tennessee and the colonial grandeur of northeastern Virginia, beyond Washington D.C. The wine cellar at the Inn at Little Washington. 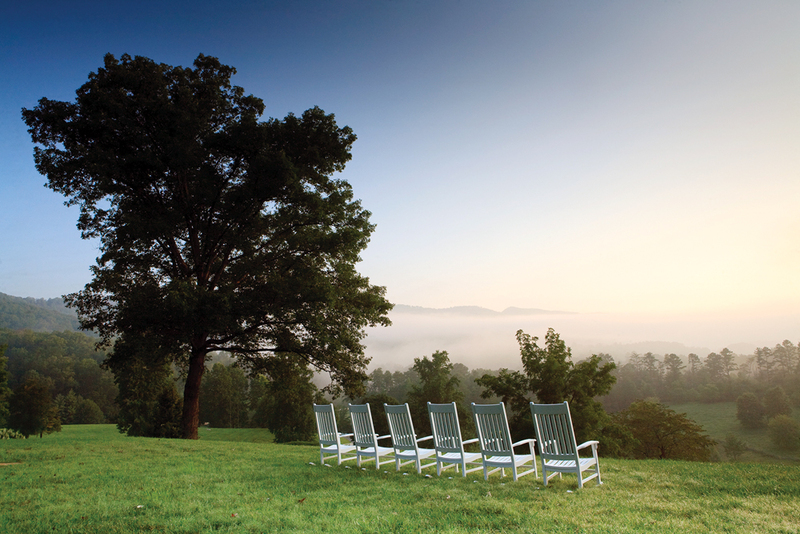 Where to sleep: Farm life is the good life at Blackberry Farm, a 9,200-acre estate in the Great Smoky Mountains sprinkled with bucolic hill cottages and gorgeous homes. There’s no shortage of active and leisure pursuits on property, including spa treatments, horseback riding, fly-fishing, and gardening lessons, plus canoeing, kayaking, and wake surfing in surrounding mountain lakes. 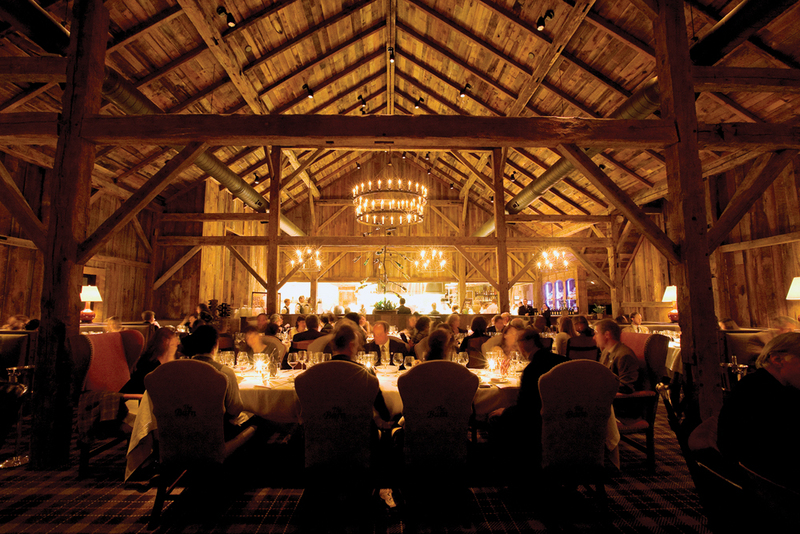 The Barn, Blackberry Farm’s fine-dining restaurant. For foodies: Get excited for decadent, multicourse dinners at The Barn at Blackberry Farm, the fine-dining restaurant on property that has won three James Beard Awards (and been nominated every year since its opening in 2007). The Barn’s haute cuisine creatively showcases a commingling of Appalachian ingredients and the farm’s natural bounty, each dish beautifully paired with the sommelier’s selection from the cellar’s more than 9,000 wines. 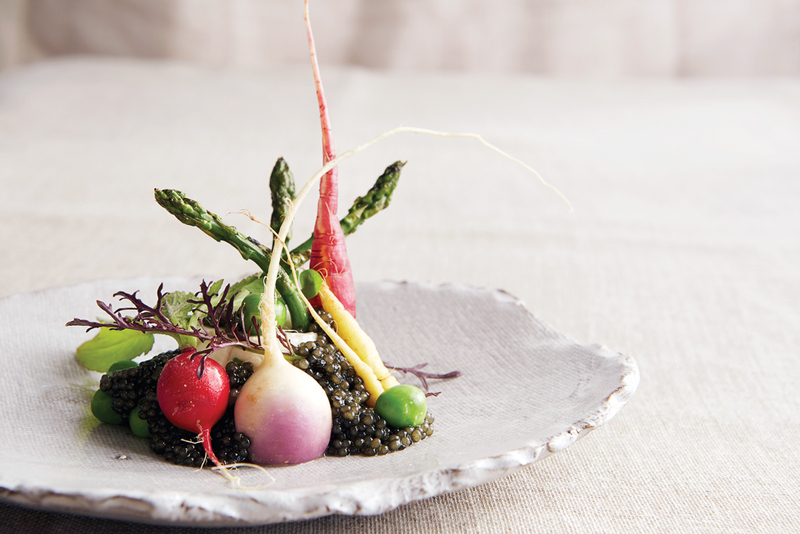 The Barn serves multicourse dinners with Appalachian ingredients like grilled asparagus and buttermilk panna cotta. Try this: Immerse your mind and body in serene nature during a 90-minute Deep Healing Woods meditation or yoga session, accomplished in the heart of the woodsy surrounds. Take in mountain views after a hearty meal. 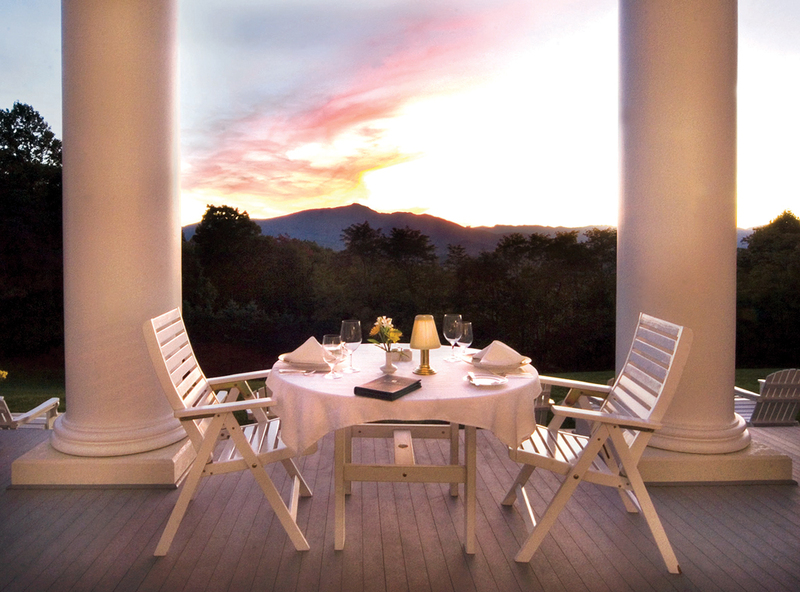 Where to sleep: Peering over the inspiring landscapes of the Blue Ridge Mountains, Westglow Resort and Spa is a boutique hotel situated on 42 acres. 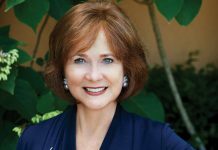 The centerpiece is a renovated, century-old Greek revival mansion that was the former summer home of American landscape artist Elliott Daingerfield (seven of his original paintings hang on the walls today). 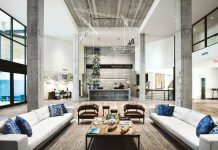 Relaxation and rejuvenation are central themes at this history-steeped property, which is anchored by an enrichment center offering wellness and spa services. For foodies: Considering all stays at Westglow include three gourmet meals daily and the food is across-the-board phenomenal, you’ll quickly get to know Rowland’s, the elegant house restaurant located on the mansion’s first floor. Superb spa cuisine is available for those eating healthy, but note that the Bananas Foster French Toast breakfast and the Chocolate Earth dessert are worth every calorie. Try this: Combine the majestic surrounds with a rigorous workout over a six-mile, two-hour group hike, one of Westglow’s dozen-plus complimentary daily fitness offerings. Where to sleep: What began in 1978 as a man, his dream, and his tiny restaurant in a former gas station in rural Virginia has blossomed into one of today’s most eclectic and exceptional hotel experiences, the Inn at Little Washington. 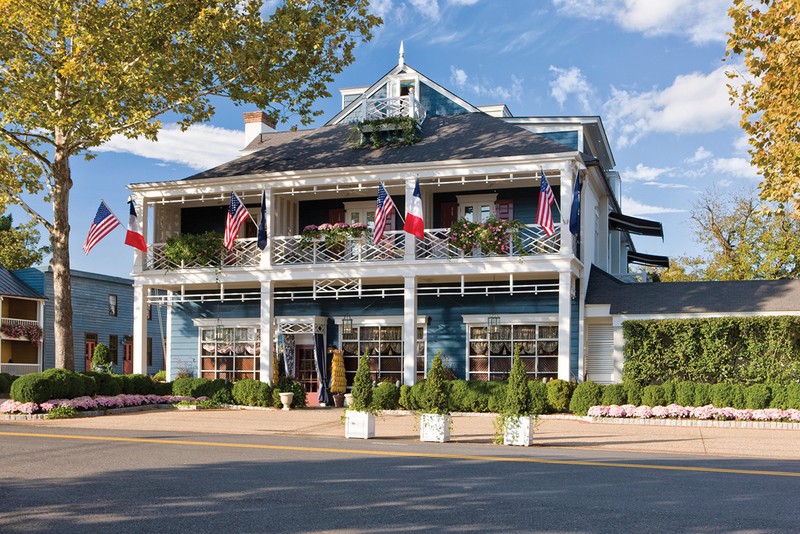 The central tenet here is food—amazing food, that is—as Patrick O’Connell, “the Pope of American Cuisine,” brings his creative farm-to-table concept to bright life over food, design, and decor. The Inn at Little Washington’s exterior. For foodies: Make no mistake, the Inn at Little Washington is the holy grail of culinary experiences. Celebrity chefs come here to be impressed (and several even have suites named after them). O’Connell tantalizes the senses with his ever-changing “Menu of the Moment,” but don’t miss some of his “Enduring Classics,” like the peanut-crusted soft-shell crab tempura on zucchini ribbons perfumed with cilantro and lime. The Inn at Little Washington’s chef, Patrick O’Connell. Try this: Before moving onto wine with lunch or dinner—the cellar houses 14,000 bottles and more than 2,400 labels—imbibe artisanal cocktails in the camp and funky Monkey Lounge of the Inn’s principal building. 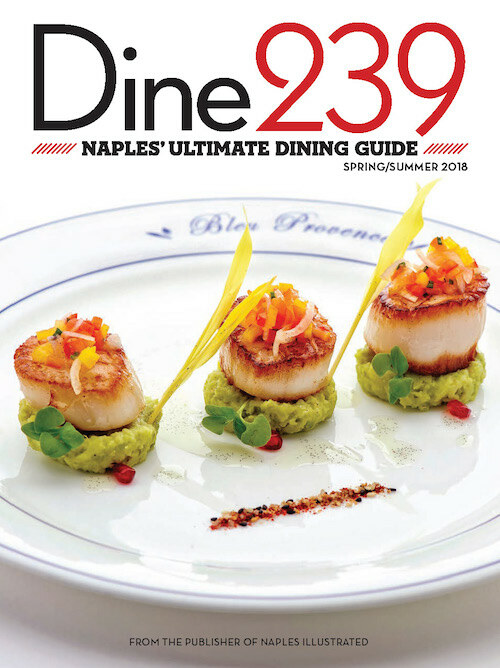 Also, book ahead for an in-kitchen experience with “The Pope” himself as he guides you through his culinary “church” and whets your palate with divine pre-dinner snacks like toasted parmesan wheels and fresh truffle popcorn. 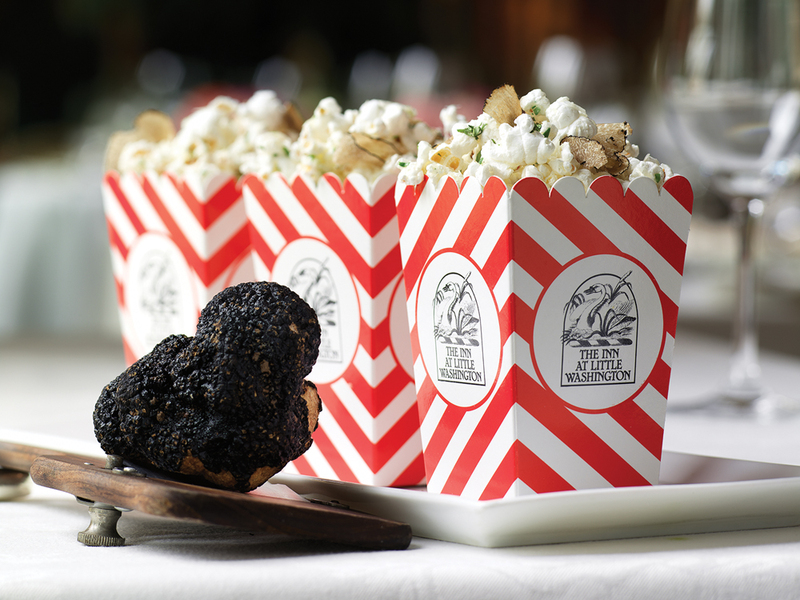 Truffle popcorn at the Inn at Little Washington.